For a rear recovery point (well all recovery points really) you want a very strong mount, as the pulling forces when you’re in thick mud up to the axles can be rather hefty, and chunks of metal flying at high velocity are never a good thing. The NATO hitch is a good idea for use as a recovery point for a number of reasons, the primary one being that it’s bloody strong. 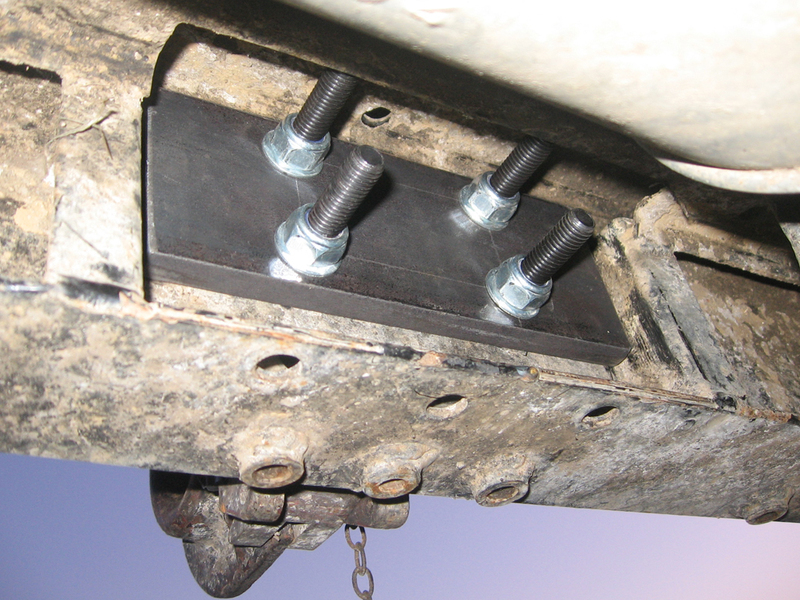 Defenders also handily have the correct bolt pattern in the rear cross-member already, making mounting very easy. Why another spreader plate on the outside I hear you ask? Well it’s purpose is to spread any sideways forces generated by anything other than a perfectly straight pull. 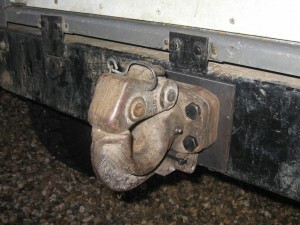 Without it you would find the hitch would distort the relatively thin material of the crossmember’s outer face.